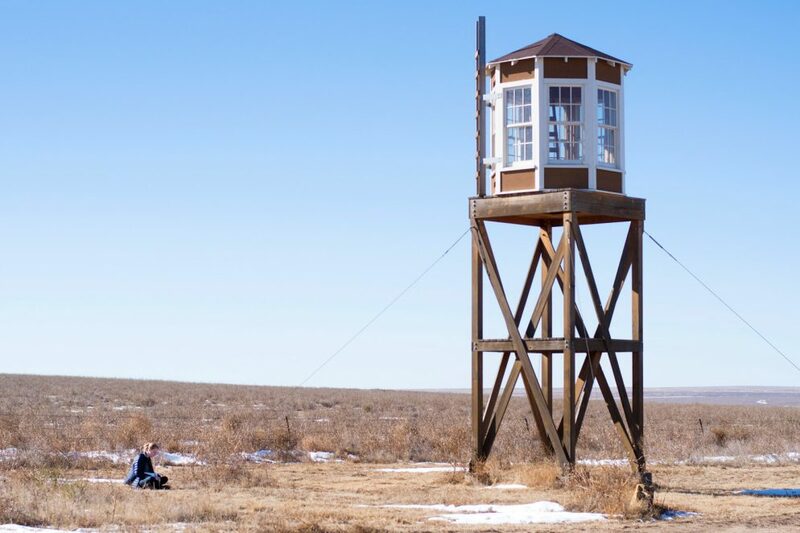 Anna McDermott ’19 writes down her observations of a reconstructed guard watch tower at the Amache internment camp site for a 10-minute visual exercise, gathering a sense of place and furthering her understanding of the Japanese internment experience. 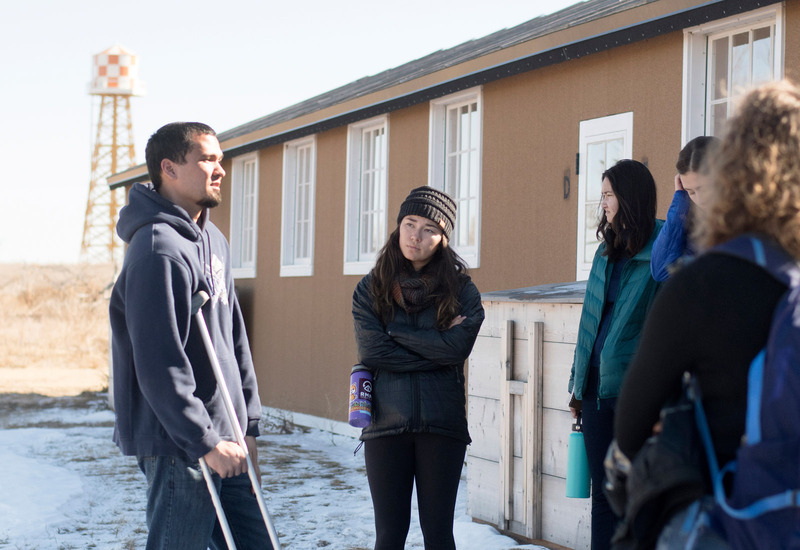 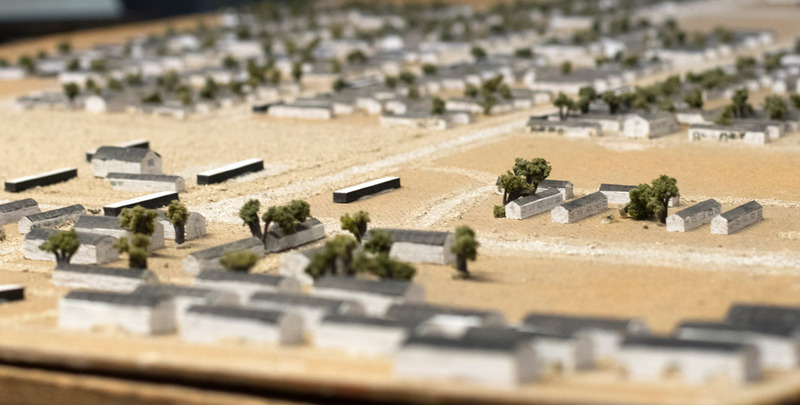 II, discuss the difficult living conditions for Japanese internees after observing a replication of a barrack at Amache, the preserved internment camp site in Granada, Colorado. 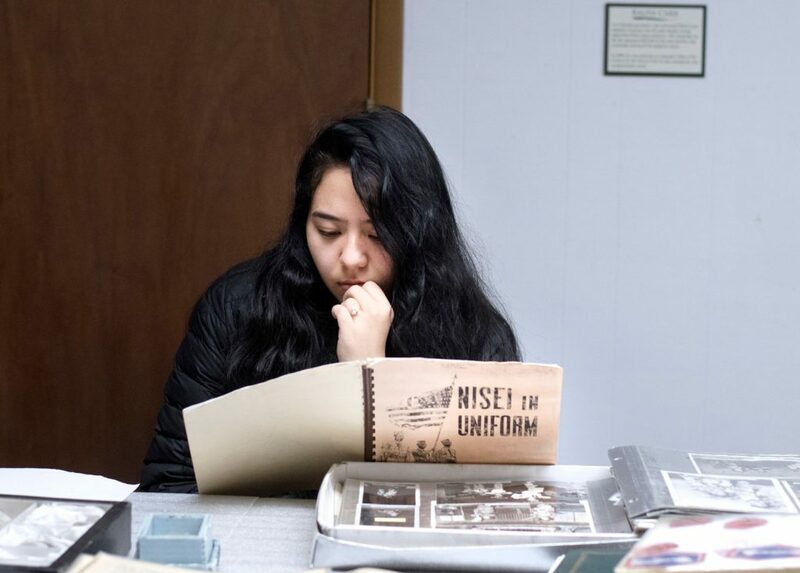 Students had the opportunity to explore the Amache Museum’s vast collection of photo albums from Japanese internees, government employees, journalists, and military police during internment. 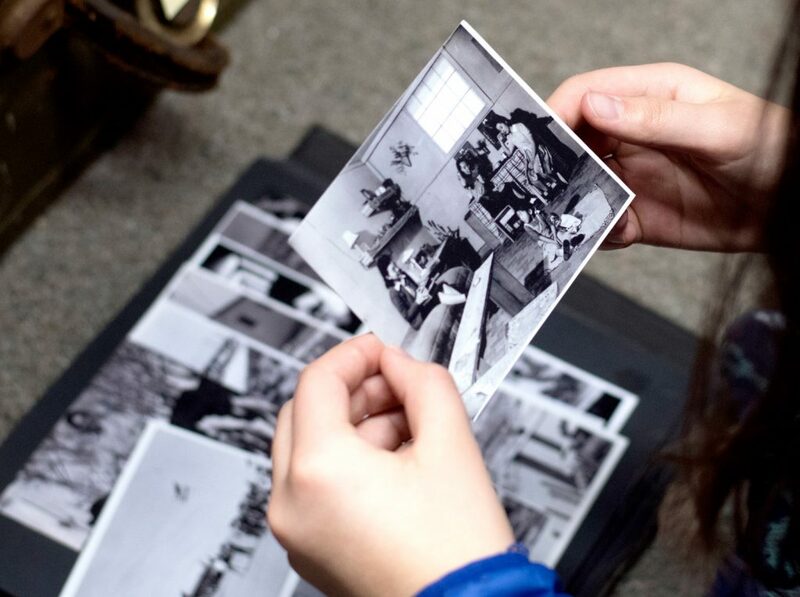 This photograph was one of many that captured the mundane, everyday lives of Japanese American families imprisoned by the U.S. government.